I must have spent an hour scouring all my resources trying to find a funny or interesting item relating to football so I could tie into the Superbowl today, but I couldn't find anything. So here's a picture of Lisa Whelchel a.k.a. 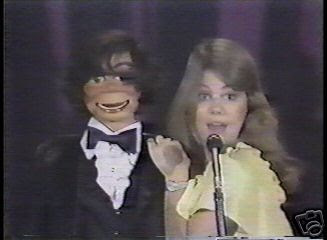 "Blair" from "Facts of Life" performing a routine with a ventriloquist dummy.